The Oklahoma Adoption Coalition is a statewide non-profit organization of adoption agencies, professionals, and individuals dedicated to improving adoption services and promoting adoption as a positive option for children who need the security of a permanent and nurturing family. Promote the development of quality standards for adoption practices within the legal, medical, social work, and mental health professions. We commit ourselves as individuals, professionals and as agencies to fulfill the ethical principles in this code. 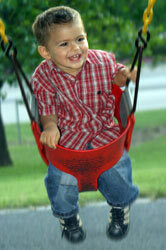 Promote public awareness of adoption issues related to children, birth families, adoptive families, and adult adoptees.